It was the biggest victory in the Cola Wars since Michael J. Fox picked up his first can of Pepsi: Diet Coke last year passed Pepsi to move into second place in U.S. soft drink popularity. 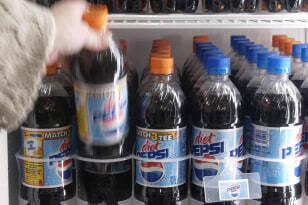 But the sales figures — released last week by the trade publication Beverage Digest — brought up many more questions than answers for consumers of sugary carbonated beverages. What ever happened to 7 Up? Are there really enough 13-year-old boys in the U.S. to keep Mountain Dew in fourth place? And who the hell drinks Fanta? 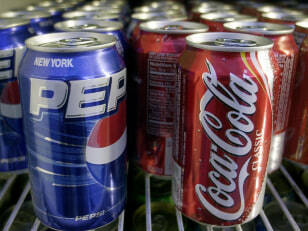 The Top 5 drinks from 2010 were Coke, Diet Coke, Pepsi, Mountain Dew and Dr Pepper. Soft drink sales are on the decline overall in the U.S., although diet drinks are taking less of a hit. 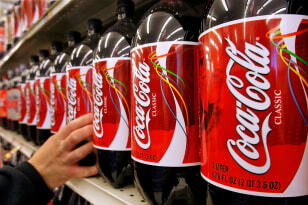 There were four diet sodas in the Top 10 in 2010 — twice as many as 2000. Accompanying this article are breakdowns of all 10 most popular beverages, including historical facts, great moments in product placement and any presidents or pontiffs who have been seen consuming the drink. Target market: Pretty much everyone. The 17 percent market share is higher than Pepsi and Mountain Dew combined, and the drink is reportedly recognized by 94 percent of the world’s population. Product placement: While hundreds of television shows, films and other forms of media have featured Coke as product placement, we’re declaring “American Idol” the winner for its relentlessly awkward Coke drops (narrowly beating out “The Cosby Show”). Target market: After destroying diet soda trailblazer Tab in its first years of existence, Diet Coke has dominated a wide demographic. Diet Coke has always seemed aimed at a slightly older age group, although it has become more popular recently among young adults and teens. Product placement: Diet Coke benefited from perhaps the ultimate product placement in the U.S. — the hand of the president of the United States. For eight years, President Clinton was frequently photographed holding a can. 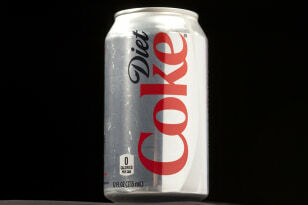 Fun fact: Artists ranging from Lady Gaga to Frank Sinatra have included Diet Coke on their touring contract rider. Target market: Introduced originally with the far less appetizing name “Brad’s Drink,” Pepsi has reinvented itself several times over the years — and since the 1980s has been aiming at the younger generation. Product placement: In 1959, Soviet premier Nikita Khrushchev and then-Vice President Richard Nixon chatted while drinking small goblets of Pepsi at the Moscow World’s Fair. Target market: Based on the advertising over the past decade-and-a-half, Mountain Dew seems to be aiming squarely at injury-prone 17-year-olds. After the caffeinated, vaguely nuclear-looking beverage gained a reputation as “rocket fuel,” PepsiCo has associated the drink with fast times, all-night video game binges and extreme sports — to great success. Fun fact: The name “Mountain Dew” was apparently a reference to moonshine. Target market: Dr Pepper has a very distinct taste, which tends to attract loyal customers. Most of the Dr Pepper Snapple Group’s advertising over the years (“I’m a Pepper, you’re a Pepper …”) seems to celebrate its difference from the other colas. It’s the oldest popular soft drink, and was invented in Waco, Texas. Fun fact: Randy Newman once wrote a Dr Pepper theme song. Also, even the makers of Dr Pepper don’t claim to know for sure where the name came from. Target market: The Coca Cola Company beverage, created to compete with 7 Up, was originally promoted heavily as a alcoholic drink mixer. But it has since become popular with a much younger demographic, and is marketed with more forceful slogans (“Obey your thirst!”) alongside popular NBA players and hip-hop stars. Product placement: Sprite had a product placement connection with the TV show “Lost,” which fans seemed to hate. 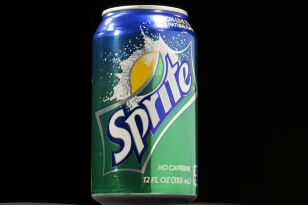 Fun fact: Sprite released a product called Sprite Zero in 1973 — more than three decades before Coca-Cola Zero was released in 2004. Target market: Diet Pepsi was the third major diet cola (after Diet Rite and Diet Dr Pepper), introduced almost two decades before Diet Coke. The drink has since developed many low calorie competitors, including some distributed by PepsiCo. Pepsi Light was a lemon-flavored diet cola sold in the U.S. during the 1970s and 80s. 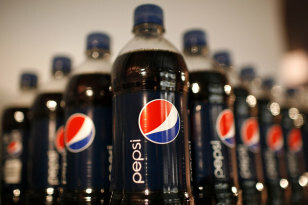 The company currently distributes Pepsi ONE and Pepsi Max. Product placement: In the “Back to the Future” movies, the rivers ran brown with Diet Pepsi (and its close cousin, Pepsi Free). Product placement: Arguably the most frequently promoted diet drink in recent years. If you believe the advertising/product placement, Diet Mountain Dew is the preferred beverage of Freddy Krueger, the Transformers and Abraham Lincoln. Fun fact: Diet Mountain Dew contains 55 milligrams of caffeine, compared to about 45 milligrams for Diet Coke and 36 milligrams for Diet Pepsi. Target market: Anyone who thinks Diet Pepsi and Diet Coke just aren’t sweet enough. With the famous “Be a Pepper” campaign in the past, Diet Dr Pepper has unveiled several high-profile ads aimed at younger drinkers. 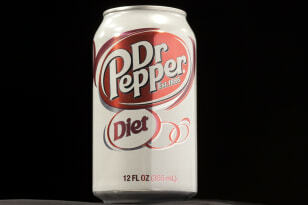 They seem to be working: Diet Dr Pepper enjoyed a 5 percent domestic sales bump in 2010. 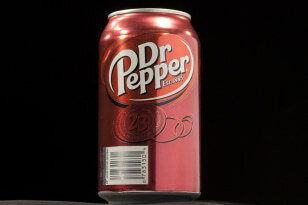 Product placement: The drink seems to favor fictional characters with superhuman powers — Dr Pepper and Diet Dr Pepper have appeared in recent Spider-Man, X-Men and Iron Man movies. 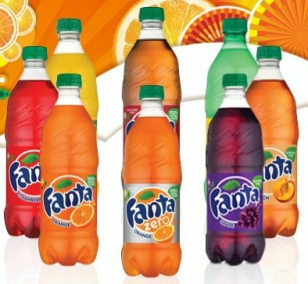 Target market: Fanta, originally created in Germany, was the second product developed by Coca Cola Company. Before the 21st Century, the United States was never a marketing focal point. Fanta does well in Europe, Africa and especially Latin countries, where the Fanta girls (called the Fantanas) are more recognizable than some heads of state. Fun fact: Brazil is the country that drinks the most Fanta; Pope Benedict XVI reportedly drinks orange Fanta instead of wine.